Or imagine a new cache type where there is a physical cache, but you may log that find when you find the container, yet you can also check a box that you have completed the challenge--and that completion is added to your "finds" total, and recorded in stats as a separate type of "find". That is one quote from an excellent post from the Icon for Challenge Geocaches thread that makes some very salient points and has an awesome idea -- that I am going to steal. Challenge Points would be like favorite points. A challenge cache with a container and log becomes a Traditional type. Anyone can find them, sign the log and get the Found It smiley. A new type of log, the Challenge Completed, can be also be posted. This awards the logger a Challenge Point. Within the Challenge Completed log are the requirements of proof set by the CO for the completion of the associated challenge. The CO can delete that log if they believe the conditions have not been met and the Challenge Point is removed. The new cache submission form could include checkbox that requests this feature, for reviewer approval, using all the same parameters in effect for the current challenge cache scheme. Any current challenge cache could be converted to traditional and all extant Found It logs copied to a new Challenge Completed log type. This part reminds me of another suggestion that was made a while ago. A challenge cache with a container and log becomes a Traditional type. Just as a side comment: There are challenge caches that involve puzzles and/or are involve several stages. I generally like this idea, with a slight modification. Challenge caches, like any other, have D/T ratings. Typically, the terrain rating isn't for the terrain for reaching the cache, but the combined terrain, and in some cases difficulty for completing the requirements. For your proposal, the D/T ratings could reflect the difficulty and terrain of finding that the cache as if it was a traditional (or other cache type without completing the requirements). Then add a challenge difficulty (1-5) that rates the difficulty of completing the requirements. A Jasmer might be a five. A challenge for finding 5 caches with the name of an animal in the title could be a 1. Then award the corresponding amount of challenge points based upon the difficulty of the challenge rather than just 1 point per challenge. It enhances the experience for Traditional finders by having a physical-cache-relevant difficulty rating, and quantifies the Challenge aspect. Maybe Challenge Stars instead of Points? I'm opposed to this idea for the reason identified by NY Paddlecacher. I like earning the difficulty stars associated with challenge caches, such as Moun10Bike's 5-star difficulty "Bigcall Challenge" that required me to travel around the country for years and then travel 2100 miles to Seattle to log the challenge cache. If others log the cache as a 2/2 traditional, it detracts from the experience. The complexity of tracking separate difficulty levels for "challenge finders" and "regular finders" is likely too complex for implementation. So, leave it be. That said, I'm in favor of a separate icon for challenge caches. It would help people like me who enjoy finding them, so we can search for them without wading through true puzzle caches (which I don't generally like). And, it would help people who like puzzle caches but don't like challenge caches. My comment reegards the part I bolded. Now, maybe I am taking this entirely too literally, but I have never understood this comment when made about counts, ratings, and other such things. I can see clearly how the true D/T ratings for the challenge cache's placement would mess up the D/T grid completion or numbers tallies. I can also see how it could diminish what your perception of what others may think of your efforts to achieve that challenge. What I don't see is how that could possibly impact your "experience". Does a lower difficulty rating somehow change the distance to Seattle for you? Does it somehow reduce the amount of time and effort it took you to complete the challenge? Does it mean you enjoyed any of the qualifying finds any less? I'm not meaning to come off like a jerk here, I've just never understood the reasoning. Back on topic, and only having just read this, I kind of like the idea. I did not think I would when I first read the topic title. Perhaps the points awarded would include some factoring for the rated difficulty in completing the challenge (or did I miss that above?). Of course, that may well lead to inflated ratings to jack up point awards, so maybe not. It would help people like me who enjoy finding them, so we can search for them without wading through true puzzle caches (which I don't generally like). And, it would help people who like puzzle caches but don't like challenge caches. Using the Stars system as another type of rating like difficulty and terrain should alleviate these concerns. You can simply apply them to existing cache types, or not. Challenge Stars or not, the cache is still available in its 'native' mode with a relevant difficulty rating. Perhaps the points awarded would include some factoring for the rated difficulty in completing the challenge (or did I miss that above?). Of course, that may well lead to inflated ratings to jack up point awards, so maybe not. Regarding the tomfoolery, I don't think they would be messed with any more or less than D/T ratings are now. Perhaps they are set when the reviewer approves the listing, and subsequent changes would require a log entry, like the Coordinates Change. If a "challenge cache" were no longer a "?" cache, but instead an unlockable bonus to a standard traditional cache, we are looking at quite the revolution. See, it's like a secret agent mission. "Unlock" the challenge by logging a find on a physical cache, complete the challenge, obtain the "Challenge Point" or whatever by clicking the box for owner verification. Edit the "challenge cache" guidelines by taking them out of the Mystery/Puzzle bunch altogether. Create a specific set of guidelines for CO development of this new kind of location-based challenge. 1. They are Traditional* caches, with a container and logbook at the coordinates. That Traditional* Cache has its own accurate D/T rating for the hide itself. 2. Log your find on this Traditional* cache to "unlock" the "Challenge". 3. Complete the challenge (before or after), and check a box to notify the CO that you have a challenge for their review. 4. CO reviews the information, and confirms the challenge as completed. 5. Person who completes the challenge is awarded a new "Challenges Completed" tick on their stats. COs would assign a specific D/T for the challenge itself, and this could allocate in the stats for an accumulated "score" of the total D/Ts...or not, because: This new spin on the game opens a can of worms, what with padded stats of the challenges created. Anything tied to a "score" that has no actual regulation is open for corruption, and shouldn't be considered. I only added this idea to appease those who want to "collect" the D/T combo for a harder challenge. Furthermore, the D/T should reflect the D/T of that specific cache. Now, if the challenge means you'd have to complete some huge obstacles, then I can see the challenge itself having its own D/T combo. Then, to keep hounds happy, they could have their own grid to fill. That opens up more cascades of challenges, perpetuating the game, the fun, and the creativity. Boom. *These versions of Traditional Caches could then get a new version of the standard Traditional Cache icon. Something like a Traditional box with a yellow star inside, perhaps. Then, once the challenge is completed, it could "hatch" a new icon on your profile stats, ala what is mentioned above. Bonus!~ You get to show people "winning" at something. Give them an icon. Give them a stat. Give them the challenges. And give everyone more consistency on how physical caches are found, signed and logged as they should be without any restriction of an ALR or whim of a CO. I'd love to know if this topic has hit the board room or even the water cooler at HQ. It seemed like, for a while, TPTB were checking in from Oz on topics such as the Intro App discussion, and maybe even the "new cache type for challenge caches" topic. Crowd sourcing is so "in" right now, and I'd love to hear if Groundspeak is considering not just the ideas, but the discussions at the root of the ideas. Such as, don't they think it odd that ALRs can live within a physical geocache type where they also admit that one should be able to log a cache they find? Just wondering. Not angry, not poking a hornet's nest. Just hoping to hear something back from those we try to talk to. Hey, while we're at it, let's have "Puzzle Points." There are lots of complex math puzzles, code cracking puzzles and other such things that I have no hope of solving, or no desire to solve by sitting in front of my computer instead of being out in the world finding cache containers. Each such puzzle cache is thus depriving me of the experience of finding the container at those coordinates. So, for people who want to solve the puzzle and earn the difficulty stars, they see the cache in its originally intended form. But everyone has the option to press a "show coordinates" button, so they can hunt the container as a traditional cache. The star ratings are automatically adjusted downward to reflect the lower difficulty. Anyway... The more I think about challenge stars, the more I'm in favour of it. Coincidentally, reading another thread before being bumped here, I considered a point I was going to post, only to find it was already mentioned here. So yay! In short, I think I do agree that the implementation as it stands in this thread would be enjoyable and accessible, and certainly not take away from any geocaching experience, veteran or 'modern' (old school or new-fangled?). OTOH, it would clear up confusing aspects of the current system (eg, is the D for challenge caches for the cache or the challenge?). I'm not necessarily a fan of the map icon selection though... some people may just want to ignore the challenges in concept, which means they'd still want to see the traditionals-with-challenges, for instance, just without the challenge. I'd see it more like an option to toggle display of the Challenge features on the map, separate from all the cache types. The only other new issue I could see is, is that fewer people would want to create low-star challenge bonuses... by implementing the challenge 'score', it implies a push per cacher to boost the score. So if someone wants more stars, they may not care so much about low-star challenge caches. Especially if say the cache is a 4/4 with a 1.5 star challenge. Then again, hopefully that would still attract people for the fun of the cache, not necessarily the challenge. Having the challenge aspect as a 'bonus' also means that yep, everything about a physical cache listing currently will be applicable to the physical cache. If the feature is implemented, COs who own current challenge caches could edit their listing (or request a conversion from a local reviewer) to add the Challenge properties. Really, just a star rating. As for logs, I think the 'challenge completed' (whether it's a tick on the find log or a new log type) should automatically award the stars - as technically the process works now. Posting a Find implies completion of the challenge, and the CO has the right to revoke the find if it's incomplete. So, reward the points, and the CO and revoke the completion (and stars) if they review and find it incomplete. This also protects against missing/inactive COs and drama from people who want their stars for valid completions but the CO is unresponsive. Easier for a responsive CO to revoke completion than an unresponsive CO to reward them. I like the idea of separating out the qualifications for a challenge from the physical cache itself. This method simplifies the previous suggestion AND includes another statistic for those who are into that sort of thing. Seriously, a new feature like this would be seen as Groundspeak condoning "Challenge Caching" much more visibly than just the allowance of the ALR. It would likely be on par with the rollout of Lab Caches, and also likely be perceived as a Geocaching Challenges 2.0. Its reception would be heavily related to how it's rolled out. And hopefully on the positive side of "making better mistakes tomorrow" (ie, improving on well-intentioned past concepts that failed by implementation or process). This is EXACTLY how I have felt for a while now. I think it would be the easiest to implement, and the most rewarding for seekers. Also, I don't understand what you mean by "not willing to log a find without meeting the challenge". That's a good thing. That's the intent. but I know many challenge caches that would get archived immediately. I still don't know what you're trying to say. Please provide a specific example of how the proposed stars system, as described in full within this thread, would be the hassle for some you seem to think it is. > There is no guarantee you can do that [find interesting caches in challenge cache find logs] with any challenge cache right now. No, no guarantee, but the practical experience in my country shows that it works well. I'm convinced that this would not work any longer with the new system and most of the old challenge caches (if not grandfathered) would get archived. 1. Why would they get archived? 2. It works well here as well. But it's a side-effect of the system. a nice one, but a side-effect. Again, with no guarantee, then there's no valid reason to criticize. If a new system doesn't do the same (unintended) thing as the old system -- not that this proposed system is an example of that, it's not, as I explained -- then it would be a suggestion for improvement. But that's not an issue with the stars system and the find and/or qualification logs. > Actually, it would be easier to find relevant or interesting information in logs, because you'd only need to look through challenge qualification logs (or finds marked as qualified) in the history to find other nice caches. It would not be easier at all as there is no approach on the website to look only at a specific log type, not even for trackables. You don't look for log types when looking at challenge caches now either! You scroll through a host of logs of various types, watching for the Smiley. As described in this setup, there would be a distinguishing difference between a "Found It" log and a log indicating qualification. So yes, exactly the same process to find relevant logs that might contain indicators of interesting caches related to the challenge. > And, you know you can contact finders and ask, right? There's also their qualifier bookmark lists if people create them. First, not everyone can create bookmarks. Second clicking at 30 or more bookmarks lists takes much more time than browsing through 30 consecutive logs on the web page. There are numerous ways to make use of challenge cache logging history in your attempts to make note of interesting related caches. Again: "there is zero guarantee (or promise) that any challenge cache's log history will provide "nice lists" for cache suggestions. So that cannot be used as a criticism of the feature suggestion." You misunderstood me. I'm not talking about automatic verification and not about a list in a specific format. Just the free text lists in the logs. What I meant is that those who do not deal with the challenge aspect, will not provide any visited caches at all and there is hardly anything to write about the cache itself. 1. This only applies to caches where the CO requests qualifiers to be listed in the Find log text. People may also post Notes. Do you skip those? Of course not, but right now it's the challenge part that makes such caches stand out for some caches and not the container. If you take away the first, then nothing interesting remains. No one's taking away the first [the challenge part]. I don't get what you're saying. The majority of challenge caches I know would not have been hidden without the challenge requirement which can be enforced. Again, you skipped my response to this. That is, the relatively simple option that could be added to allow the CO to require the Find and Qualification, in order to earn both the Smiley and the Star. which is described as a win-win does not contain this option. I do believe however that if the mentioned option were available, 99% of the challenge cache owners in my country would use it. 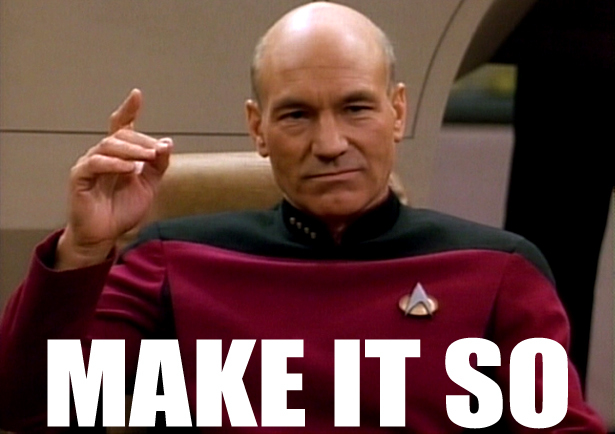 So the whole star system would be a very expensive way to implement what an attribute could do in a much cheaper way. It could well be that in other regions the situation is a different one. As I said before, I can easily imagine that the motivations behind coming up with a bingo like challenge cache and the challenge cache I provided as example are completely different. So the willingness to allow finds without qualification will differ considerably from case to case and from person to person. If it might be different anywhere other than your region in the world, then why would you want to shut down the entire idea, rather than attempt to eek out a minor adjustment to make it still work? And it's only an "expensive" implementation if that the only thing you want to get out of it. The idea addresses many, many other concerns and allows for many, many additional features that could make it much more fun for many, many other geocachers. Not for you? Not for your region? Does it really affect you so much that you can't consider implementing it even with adjustments so it does work for you? *hmph* such a downer. And the system allows for all those different caching styles. So your point is moot. I do not know enough about challenge caches in other areas. So I thought that it would be fair to formulate my comment carefully and restrict it to an area with which I'm familiar. Let me stress again that my comment was addressed to those who claimed that the idea as presented by frinklabs is a win-win for everyone. Again: I'm not making any decisions and I'm not part of Groundspeak. I just explained why I think that the original suggestion would lead to almost no challenge caches at all in my country and that this can be achieved in a much simpler and cost-effective way. Even if they did away with challenge caches, I would not lose that much personally (I visited one for which I do not qualify three times and logged a find for one another). I just did not agree with frinklab's statement of a win-win. As soon as you make adaptions and allow for example the owner option you mentioned, you would adress the lose-situation I mentioned, but other lose situations would result. I think there can be no system with only winners (which is system inherent). No, it is not moot. There will always be losers who prefered the old system for whichever reason. You cannot come up with a change which is winning situation for everyone. That's an unachievable goal in my opinion. You could still be in favour of a particular type of change, for example because it leaves you with more new winners than new losers - but it's unrealistiv to claim that everyone will win. That's not an argument. You can say that about anything. What do you think they would prefer about the old system that cannot be addressed in the new system? Let's discuss that. It does no service to keep saying "but someone still won't like it" without furthering the discussion. So, you can say it's always going to be lose-win, because there will always be someone who doesn't like it... or we can try to see if there's a resolution for what exactly the problem would be, in order to make it win-win. Until a new concern arises. Of course you can't please everyone. These forums alone prove that. But we can certainly try to address what can feasibly be addressed. You raise a concern. Great, we can discuss it, and attempt to resolve it so it's win-win again; hopefully. Then, next issue. Rinse, repeat. Productive discussion! Yes, it's adressed, but at the expense of making others unhappy/less happy, namely those who cannot find these caches without qualifying. Without this suggested change, the other group as explained above will be unhappy. I'm quite sure that whatever you will come up, I will be able to tell you a group that will end up unhappier than with a different solution. 1. "cannot find these caches without qualifying" Who?! With the option, COs can decide whether cachers can find w/o qualifying, or must find and qualify (as required currently). 3. "I will be able to tell you a group that will end up unhappier" You can't please everyone. So, explain what could be wrong, and let's see if there's a way to address it. both is required for a find, then those will be unhappy who do not like the present state. "I will be able to tell you a group that will end up unhappier" You can't please everyone. Yes, you cannot please everyone sums up my point very well. We agree on this. But from this it follows that there can't be a win-win for everyone. There need to be losers whatever you try and how much effort you are willing to invest. I did not say that this is an argument to not consider the suggestion. I just objected against the win-win claim. No changes to the suggestion will ever change that. I agree with comments from another thread that this is a solution in search of a problem. Although I would like to see challenge caches have their own icon, I would not want to separate the challenge from the cache or see a separate category of points for meeting challenges. To me, the challenge is part of the find. It is an integral part of the experience and one that makes the cache unique. Should I not meet the challenge, I do not log it as a find. If it is a challenge that I have no interest in completing, I simply do not look for it, just as I choose not to look for many traditionals that do not interest me. There is nothing that needs to be changed to make this better. I have also hidden one thematic challenge cache - the container is designed for the challenge and the challenge is designed for the container. It has nothing to do with caching accomplishments, other than to encourage anyone who is interested to seek out other caches with the same theme. I would archive it if the challenge were separated from the find. It would no longer serve the same purpose or be the same cache. As Leprechauns wrote, we might as well also have puzzle points. Or going a little further, make everything virtual and have physical log points. Adding a level of complexity and yet another scoresheet to allow more find logs does not make sense. Ultimately, it would lead to new side games and be seen as a new score. If I did not want to have a new score in the form of points that are separate from the find count, I would have to delete existing finds that were retroactively awarded. So it is not a win-win proposal. I like this idea. I'm not sure I'm sold on the concept of challenge stars or not, I'd be happy with a simple incrementing of a "Challenges Completed" counter. - It removes the existing exception to the ALR rule granted to challenge caches. Find the container, sign the log, claim your find. All physical caches would now be treated the same. - A separate log type for the completion of the challenge brings the meaning of a "Found It" log back to its origins. After all, logging a "Found it" on a puzzle cache doesn't necessarily mean you solved the puzzle, it simply means you found the container. Why should logging a Found It on a challenge cache be different? Yes, I understood that right from the beginning. But if many cache owners will choose the option that both is required for a find, then those will be unhappy who do not like the present state. Nope, sorry, still do not understand what you're saying. there can't be a win-win for everyone. There need to be losers whatever you try and how much effort you are willing to invest. So why do you insist on commenting then? You're simply dismissing the discussion on the grounds of "it will never work for everyone". You did offer a concern, and so we attempted to address it. Even so, you're still dismissing it because "oh, well, it really doesn't matter; because someone will always not like it". No, sorry, problems were expressed by many in other threads. So the discussion spawned BECAUSE of that. Also, it's fun to discuss potential improvements to a system that's in place, especially if it addresses concerns of other cachers. Would stars 'change' the challenge game a bit? Yes, because now there's a numeric representation for a user's challenge career. But right now, is people really want that, they can already do that. I've seen bookmark lists of completed challenges. People can brag about their scores in their profile already. This merely automates that 'scoring' system. And once again, it wouldn't affect people who don't care for challenges (why should they care about other people's caching habits anyway? an argument quite often raised in angsty discussions ), since the challenges are now taken out of the existing Mystery cache type (improvement! so they can be what they're intended to be, without ALR), and a Find actually means a Find (improvement! not an ALR smiley/WIGAS), and it will be possible to filter out any references to challenges on the map (improvement! and they can still Find all the physical caches if they want - unless the CO sets his cache to requiring qualification in order to find; those would also be hidden, all using the existing icon selection legend of the map). If this idea were implemented, it would allow people to log a 'find' on the cache without completing the challenge. Would it allow challenge completion without logging a 'find' for the physical cache? * Challenges are different than other question mark caches. That difference can be recognized through a new icon but it does not require an additional level of complexity and a totally new scoresheet on the profile page. * Challenges are some kind of doublespeak because they are the only kind of ALR allowed on this site. I don't see the problem, but if it is a perceived problem, then a new icon is the simplest way to approach it. *. You cannot log a find if you find a container but do not qualify. I don't see this as a problem at all, but just another word for entitlement. An icon or attribute would allow you to filter such caches, but the question mark alerts you to the fact that something is going on with the cache, the title of challenge makes it clear that it is a challenge, so either track down the container or not. Against this is a proposal to create a complex system that adds a new score to the profile. Not wanting a new score, I might have to delete existing finds if I got retroactively awarded something I did not want. The complexity required to separate the two is not something that I see as an improvement, but rather a quest for a lower common denomination or additional point systems. I would just go ahead and archive my existing challenge. This is only an improvement if that is what you are seeking. So sorry, no. It is a solution that creates additional problems for concerns that can be addressed in a simpler way, if they are problems at all. Making this change would definitely resolve the confusion regarding the ALR issue. It would allow for 'signed logbook = smiley' for all geocaches while retaining the concept of challenges. That's a good thing. Brings up a good point. One could scour the globe for every challenge they qualify for and end up claiming points on a challenge in Canada, Norway and Brazil on the same day...all from a chair in St. Louis. I suppose that is fine and I guess I wouldn't have a problem with that. It's not the same as a "found it" log where you would get another smilie...it's more of a points-based system. But perhaps that's not the OP's intent. Perhaps obtaining the challenge points are contingent on claiming the find? In that case, it would technically flip the order of claiming the challenge cache. No challenge points unless you qualify and find. As now, no "Found It" unless you qualify and find. But "Found It" now means "Found It". I am proposing a discrete "Challenge Completed" log type which you can post upon completion of the requirements. This could be done before or after finding the physical cache. But the Stars would not be awarded until the Found It is posted. That difference can be recognized through a new icon but it does not require an additional level of complexity and a totally new scoresheet on the profile page. If the goal was simple differentiation of the caches, then no, the additional complexity (which isn't really any more challenging than existing ALR management) would not be required. However, if "scores" weren't relevant, there wouldn't be a statistics page on the GS website. We also wouldn't have Favorite points. Challenges are some kind of doublespeak because they are the only kind of ALR allowed on this site. Not entirely accurate -- don't forget Earthcaches and Webcams. You cannot log a find if you find a container but do not qualify. I don't see this as a problem at all, but just another word for entitlement. But you can log a note. Those notes do not factor into distance calculations (even though you were there) or counted as a find (even though you signed a log book). The entitlement I perceive (inadvertently as a result of the incomplete implementation of challenge caches by GS) is that of the CO using a normal Found It as a reward for completing the challenge. Not wanting a new score, I might have to delete existing finds if I got retroactively awarded something I did not want. You would not get something you didn't want until you post the Challenge Completed log type. I originally proposed a retroactive translation of challenge cache founds into Challenge Completed logs to start off everyone's Stars accurately. I am seeing now that this transition would have to be opt-in on a per-cacher basis, so that those who objected to the new system could be proudly Stars-free. The complexity required to separate the two is not something that I see as an improvement, but rather a quest for a lower common denomination or additional point systems. The complexity is in the back end and would require no more intervention by a CO than is required now. The lowest common denominator already exists -- one Found It per challenge completion, regardless of its difficulty. As I mentioned before, why should completing the Jasmer (172 caches and counting) be worth the same singly-arbitrary incrementation as completing an Alphabet challenge (26 caches)? That would be unfortunate. I had a look and it is a cool and unique idea, a tough challenge, and rarely (once) found. Your OM log is consistent with the theme and your note is extremely helpful. Would you really take this fun ball and go home with it?? I am not seeing what are the additional problems that are being created? I don't see a simpler way that addresses so many concerns so easily. I believe that if you are going to separate the challenge aspect from the cache to allow the find, then you should also have them separate to complete the challenge. After all, the bulk of these physical caches have nothing to do with the challenge itself. Why require logging some 'standard' cache in order to complete an unrelated challenge? Challenge caches are certainly the only deviation from the 'sign the log and get a smiley' rule. As such, they continue to cause confusion regarding whether ALRs are allowed. Yes, that is one solution. But as mentioned elsewhere, it still leaves other concerns not address. Mainly, "Found It" doesn't mean "Found It". And cachers who want to "Find" the physical cache cannot, because of the ALR. Against this is a proposal to create a complex system that adds a new score to the profile. Like hiding challenges from the map (something you might want), it's a valid concern, and perhaps a solution to that concern could be the ability to not show your challenge stats (unlikely you'd be rewarded that retroactively automatically anyhow) -- just like we can now hide our statistics view from our profiles. Earlier int he discussions I commented about complexity of development, and that being a hindrance for other ideas I used to support... in my opinion, the system isn't as complex as it sounds, but again we don't Groundspeak's back end, so I can't comment about how hard it actually would be to implement. And as I said elsewhere, it may never get implemented because of its complexity. *shrug*. Still fun to discuss and attempt to optimize the system both in concept and technical complexity. I would just go ahead and archive my existing challenge. Why? It would be grandfathered, unless you opt to apply the new challenge system to your cache. Absolutely nothing would change with your cache if this were implemented. If you separate the challenge from the cache, you have locationless challenges anyone can complete (and be rewarded for) worldwide. Geocaching Challenges. Different concept (which failed miserably by its implementation), and not what Challenge Caches are about currently. So no, the Challenge Cache concept requires qualifying and finding. The problem is they are standard physical caches for which the Find log doesn't not mean the same thing. So this system attempts to allow (if the CO chooses) people to "Find" the cache without qualifying (and being rewarded) for the challenge. I'm not on the boat of calling Webcams ALRs, since it's a different log type implying exactly what it's called (Webcam Photo Taken). Earthcaches - enh, it's a Found It log, but there's only one thing that needs to be done, which is do the requirement. There's not physical cache to find in addition. A Challenge Cache really is the only true ALR cache concept, which is implemented as an exception to the Mystery Cache type and Found It log. I was thinking from the perspective of scenarios where the CO would be deleting logs for reasons other than failure to sign the book. Which would not be an issue with implementation of the Stars system. Found It logs could be deleted separately, for failure to sign, as usual. Challenge Completed logs would be deleted for failure to provide the specified information regarding completion of the challenge, preserving the Found It (if any) for chronology and mileage, and possible later proper challenge completion. Yeah, if the Found It log is deleted, then then what happens to the CC log, and the stars for the user? My thought was that the profile count would include stars only for caches containing both a Found It and CC log. Qualifying first means you can post the CC log before the Find Log (this takes the place of the generic 'note' people may currently post), but stars don't show as rewarded until both are posted. (while as currently, the smiley find count increases as long as there's a Find Log itself). Viewing your profile, the current list of logs posted wouldn't change, except for including CC logs. A new Challenges Completed page could show all Challenge Caches that include either a Found It log OR a CC log, so as to distinguish between caches that have awarded challenge stars and those that don't yet qualify. Total Challenge stars would only be tallied for caches with both log types posted. A neat metric for the challenge stats page would be to show your stars count, and number of challenge caches found (now retrievable as number of caches containing a challenge component), and the average challenge stars per cache. For those who want to brag, it's a higher Challenge difficulty average; just like people watch their average D and T ratings by the stats. Dang right it is entitlement. I don't see why someone who finds a physical cache should not be entitled to log a Found It on the site -- that's what the log is called, after all. I suppose that's possible, but the fact is there are place where challenges just haven't caught on like they have in some places. There are probably quite a few challenges that I could qualify for but simply because the whole idea of challenges hasn't caught on in my area I can't get recognition for completing them because challenge cache finals are essentially non-existent in my area. In other areas, where the idea of challenge caches in general is popular there are power trails made up of challenges and lots of hides that seem to serve no other purpose except to meet the criteria for some convoluted challenge. When discussing a feature such as this I wish people would try to think outside their own geocaching box (local area) and consider how much effort GS should put into developing yet another feature that is eventually useless for those that don't have the luxury of living in cache rich area. It may be call a Found It log but it really means WIGAS. Some of us have been around long enough to remember when you "Found" events. And even more can remember ALRs (some can even remember when ALRs were not officially acknowledge but were still allowed to exist). The online log is a WIGAS log and making "challenge" points separate from "finding" points won't change that. I suppose you could count "challenge" points in the same bucket as "found", "attended", and "photo taken" points, but if you let people get both "challenge" points and "found" points on the same cache people will complain about scoring more than once for the same cache. The online log is a WIGAS log and making "challenge" points separate from "finding" points won't change that. It is not supposed to change it -- it is supposed to differentiate it. That is because the "finding" is different than the "completing the challenge"
if you let people get both "challenge" points and "found" points on the same cache people will complain about scoring more than once for the same cache. They only get both if they do both things. If they only find it, only the WIGAS is given. If they also complete the challenge and sign the log, then they get the Challenge Stars and the WIGAS. Is anyone complaining that a Found It is also "scoring" difficulty and terrain stars? Because those are quantified and summed/averaged for the purposes of other challenges, which is more than one score. Actually, it would no longer be a WIGAS, only an actual FIND. So, by finding, they would score a find. By completing the challenge, they get the find and the stars. Challenge is really only a new metric. There is D and T, now there would be C - which are only totaled for caches with a Find log and a Completion log. In concept, it really is that simple. I suppose people will complain about anything but in this case they're getting credit for two separate activities. They're getting an increment in their find count if they found the cache, signed the log, and posted a found it log, and they're getting challenge points *only* if they also completed the challenge requirements. Did you see a lot of complaints for those that attended the block party in August that got a found it point, the special block party icon, the socializer souvenir, and a Washington State souvenir (if they had not already qualified for it), all for completing a single activity. I understand that the HQ cache was also temporarily moved to the location of the block party so by visiting the same location one could also get the HQ icon, the HQ souvenir, and an additional find. That's seven different "awards", all for visiting a single location. I do not worry about possible complaints along that line. I do think however that for many cachers (and the majority of challenge cache owners) challenge caches are something integral where signing the log book alone is not enough. I think that most challenge caches that exist right now would not exist if legitimate found it logs could be posted without qualifying. I do not think that separating the find level and the qualification level (achievement badges, challenge stars etc) will appeal to the same audience than geocaching specific ALRs (as implemented right now with challenge caches). 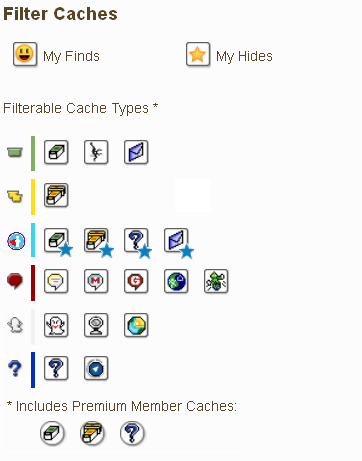 I do not think that separating the find level and the qualification level (achievement badges, challenge stars etc) will appeal to the same audience than geocaching specific ALRs (as implemented right now with challenge caches). Agree. I think that implementing Challenge Stars will make these types of caches appealing to a much larger audience. Not really. What you mean is that the number of find logs would increase for all challenge caches that are in the new mode (that is also true for every puzzle cache that is turned into a trdaitional). This does not mean that the challenge star system is attractive for challenge cache owners and for challenge cache fans like fizzymagic. Unless the old caches are grandfathered or a choice is offered to opt out of the challenge star system for challenge cache owners, the popularity of challenge caches among its current audience will decrease enormously. The new fans and those who just would prefer consistency with respect to the meaning of "found it" are not visiting challenge caches because they are any different to normal caches. I'm not seeing how a cacher who likes to complete challenges would be put off by having challenge stars. It actually seems that many would really like them as it would be a quick way to see how many challenges that they've completed. Further, unlinking the challenge from the container find would create a much higher number of people going after challenges because they wouldn't be tied to just those challenge caches that are placed in their immediate caching area.